Associated Bank’s new Eagle River branch celebrated its grand opening on Saturday, January 9, by hosting a ribbon-cutting, reception and winter festival. Members of the Eagle River Chamber of Commerce and numerous members of the community joined in the celebration. Five colleagues of the Eagle River branch were each asked to select a local non-profit organization to receive a $250 donation in honor of the grand opening. The charities selected include: Angel on my Shoulder, Salvation Army, Disabled American Veterans Chapter 56, Vilas Food Pantry and Seasons of Life Hospice Center. Representatives from these organizations were also present at the event. The day-long celebration offered warm chili, hotdogs, chips and cookies, along with hot cider and hot chocolate. 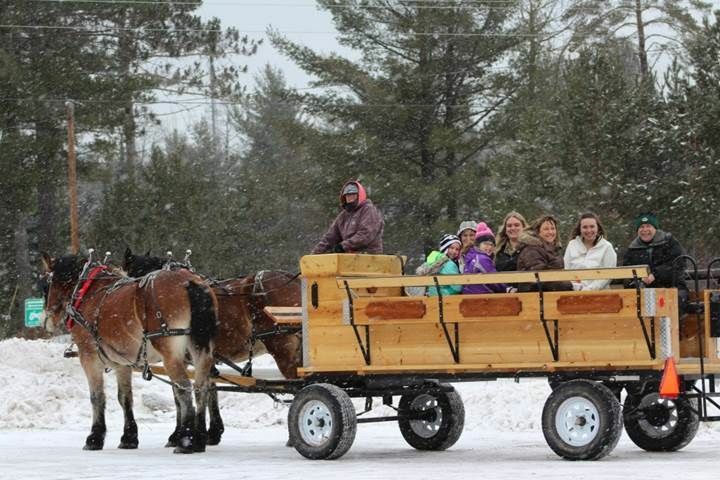 It also presented attendees with the opportunity to go on a sleigh ride and witness a wood carving demonstration by a local artist, whose work will become a permanent part of the Eagle River branch. This new branch is located at 104 East Pine Street in Eagle River.